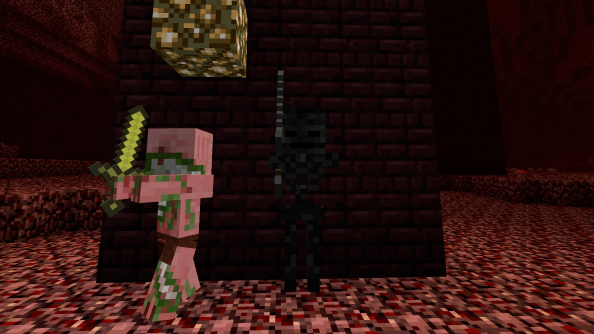 Wither Skeleton Tweaks Mod 1.12.2/1.11.2 updates and adjusts several attributes and functions of Wither Skeleton, making them more balanced and useful. 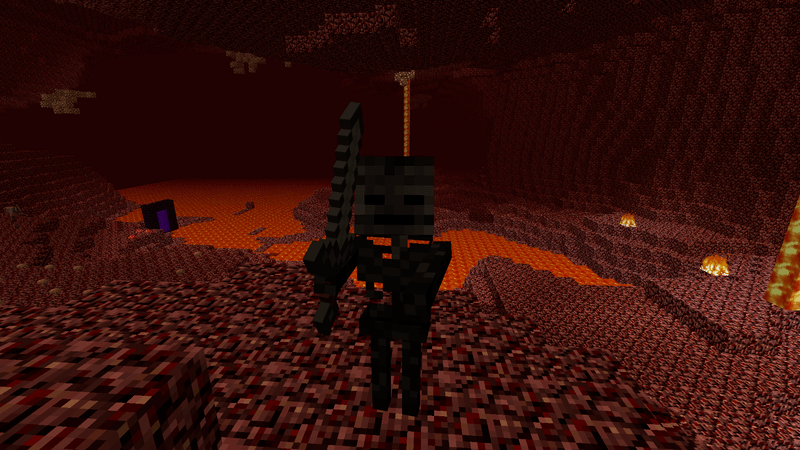 Wither Skeleton is a special type of Skeleton that appears in the Nether, which resembles a regular Skeleton but has a darker color (dark gray, easily recognizable to the normal gray Skeleton) and fiercer, stronger. In Minecraft Vanilla, you need to collect their skulls with the Wither Skeleton Skull to summon the Wither boss, but aside from that they are not very prominent, so the Wither Skeleton Tweaks mod has been written to bring some changes to them, making them “more useful for society”. Mod adds a new drop type item when killing Wither Skeleton which is Wither Skull Fragment, these 9 pieces when combined will give out Wither Skeleton Skull. All Skeleton born in the Nether now will 100% be Wither Skeleton (Minecraft Vanilla will spawn both regular Skeleton and Wither Skeleton). Added 2 new sword types. You can download the latest version of the Wither Skeleton Tweaks Mod from the link below and follow the instruction to install. Do not forget to check if the mod needs any additional mod to run. Happy gaming! Download Forge Installer, Wither Skeleton Tweaks.jar file.